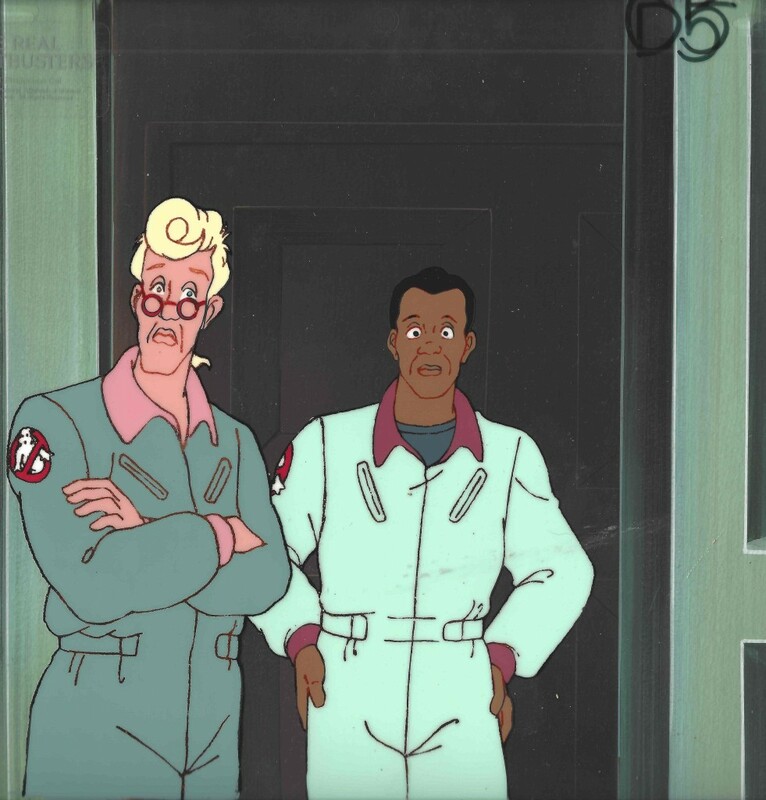 If you have read the previous post on the Ghostbusters you won’t be surprised that it probably had something to do with that and it does. I was born in 1982 in a tiny farm/hamlet town that was filled with people whose commute to work was on (a general) average an hour. It was also a town composed completely of white people. My family tree consists of nearly every name on the mailboxes in the town. Some of this is in the “about me” section on here, but I will string it along here again to help me order my thoughts. We had an elementary school through the 5 or 6th grade depending on the number of students in a given year or three, then we were bussed 16 miles to attend Jr High and High school in the next town. There were 18 kids in my kindergarten class. We were the teacher’s first class and she had graduated with my mother (the guy that later became my high school principal graduated with them as well. We won’t get that far, but it is worth mentioning). I was in Jr High before I ever had a class with someone who wasn’t white. We’ll leave that here and get back to the main story. My friend and I were talking about the television shows we grew up with and what looked like and reminded us of our childhood. He was a Navy kid and spent his impressionable years in Japan so DragonBall Z was his. 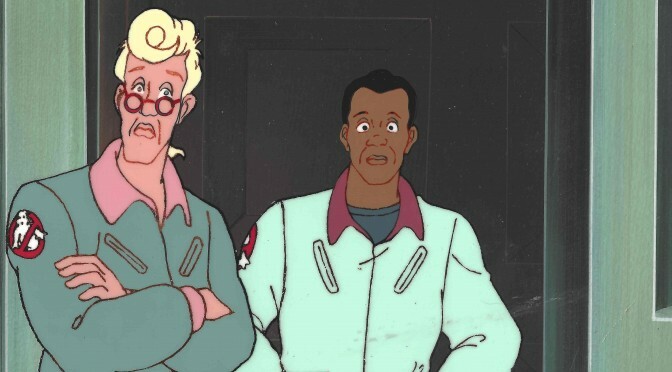 Mine, as I have belabored the point was The Real Ghostbusters and Scooby Doo. Both were the first things I can remember that were longer than the 6 minutes of Coyote and Roadrunner or the Hanna Barbera cartoons. 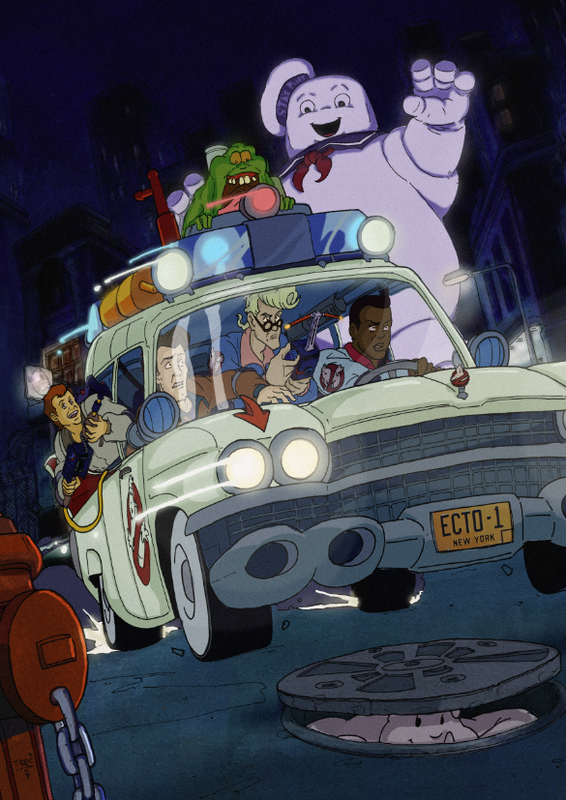 Scooby Doo was in syndication (until a Pup Named Scooby Doo) but Ghostbusters was new. It also had something different in the main line up: a black guy. 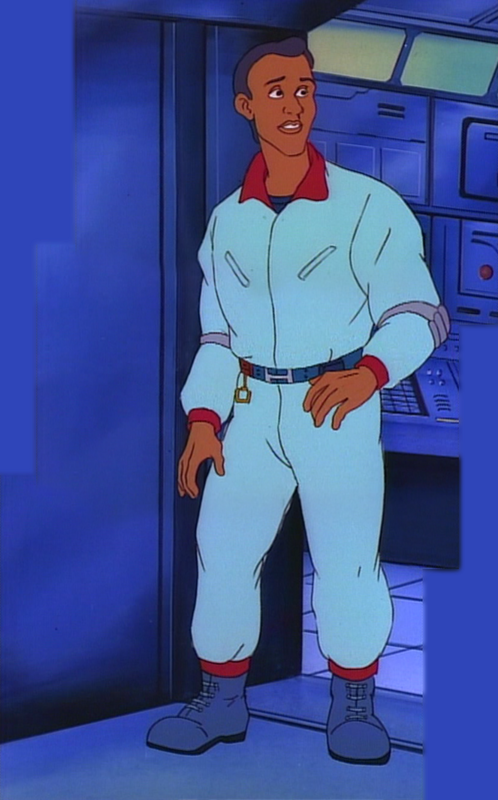 We talked through it for awhile and I have been milling it over for a couple months now to make sure that what I said was indeed true: Winston Zeddemore was the first black person I “knew.” I use the quotations here because how well can you really know a cartoon character? 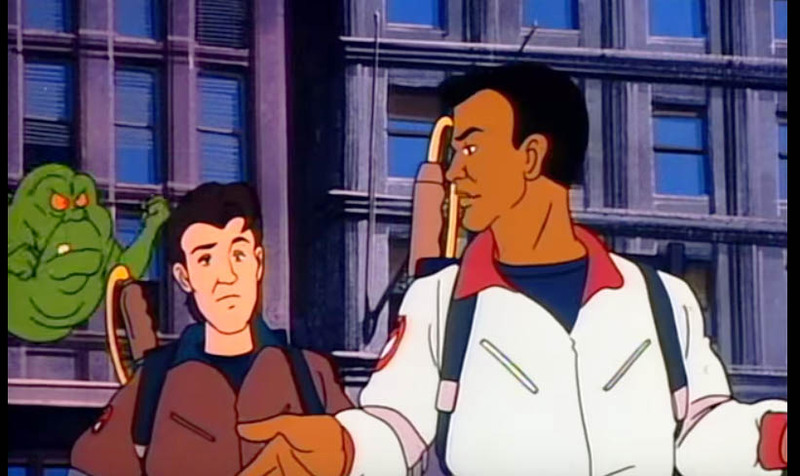 Ghostbusters started airing when I was 4 and ran on network television until the early 90s. I don’t remember seeing the goofy Slimer/professor Dweeb things at all. That all being said, I wasn’t aware at the time that this was the first non white person that I “knew.” If I went with my mother to the grocery store I would see people that didn’t look like me, but there was no conscious separation of us and them. There was an older guy that mowed the field at our elementary school, who I would see every other week on a tractor, but there were no daily life contact. Later I got to know James (the tractor driver) really well when we would work on the schools equipment for him in the auto mechanics shop. Growing up like that really shapes the way you see the world. The holotype I had that structured how I thought of an entire population that I had no relationship with, was a cartoon character based on a film character. That is a powerful thing, and I have droned on through this because I believe that this happens more often that we think, and not always with such a positive representative. My school mascot was a warrior, and to this day Spirit Week consists of at least one day where the students fashion headdresses to wear. (in addition to all the bad Indian puns that were put on pep rally posters). When this is all you know (or is the sum of your experiences), especially in a time when there were no facebooks and twitters and social change hashtags or even someone near you to offend it creates this world of “that’s just the way it is.” What I learned of the Civil War was the northern aggression narrative and the local cemetery in town has more than one CSA foot stone belonging to my ancestors. I took one of those ye olde tyme western photos at the fair when I was 10 dressed as a confederate general with a rebel flag backdrop. I wore a rebel flag belt buckle for years, and even have one on my high school ring (wherever it is). I knew no one it offended for years, as I began life in college and started making friends with people that I didn’t grow up with, that changed, and so did my understanding of things. If you’re wondering what the point is other than “white kid can remember first black person he knew” it is that there are still a lot of rural schools in the US and there are still a lot of extremely homogenous towns, and when those kids leave those towns for college or life, it might be the first time they have experienced not only the “other” but the voice, the protests, the anger, and the offense of that other. I work with special populations on campus, which generally means first generation students and underrepresented in graduate school. I am a McNair Scholar alum, both as a scholar and working as Graduate Mentor for the two years I was working on my Master’s degree. It has been interesting to see first gen students adapt to the new environment of university both where I am now and my previous university. It has also been interesting to see from afar kids that have never seen a brown person to suddenly be dropped into a room with 40 varying shades and accents, and then find out that some of them are smarter than they are. There are a lot of things in place to help international students adjust, but there aren’t that many (that I am aware of) in place to work with those I only see the “other” in town sorts. The first thing they usually hear is something about “white privilege” which is never explained and all they know is they aren’t privileged in any way and all sides get defensive and any chance at meaningful conversation shuts down. Everything we are doing to address race in this country is falling short failing. I don’t have the answer, the only suggestion I can propose that I have seen work in small groups (e.g. the McNair Scholars I have worked with) is to start focusing on what makes us the same rather than what makes us different. The bottom line to all this is to not dismiss something as trivial in your life until you have had time to examine it and see if it really was trivial. What came out as a joke about Winston being the first black guy I knew, actually led me down a long path of talking with my friends of all ethnicities about their experiences and trying to understand where my own mental expectations of things came from. I think I am lucky in the sense that I have recognized that while my creation was based on what someone else created ( the derivative character for the cartoon based on a film) the organization around that mental construct was mostly my own (as far as I can tell) and not because I wholesale accepted what everyone around me was saying I should think about people. *I am aware that my use of “black” and not “African-American” or “people of color” or other acronym may upset some but to be true to the point and expression of growing up and offering my thoughts as I have made and seen them this is the best I can do. I did not live in a world of African-Americans or People of Color, I lived in a world where the people who were not white, Indian, or Mexican were black. Or worse.